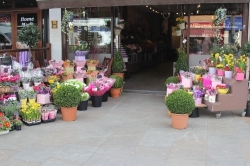 Flowers From Ltd in Bexleyheath are qualified florists. Buy flowers online for same day delivery by your local florist. We deliver flowers same day throughout Bexleyheath area and all our deliveries are made by hand. Very happy with service. Flowers arrived early on the day specified. They looked lovely. I would happily recommend this company. Excellent service and value for money. Will certainly use again. The ordering system was straight forward , Got an email saying they have been delivered great , Then got a call from my relative stating they where wonderful , so all round great result , Thank you . We were very pleased that our flower order was received in a timely manner. The recipient stated the flowers are lovely. It's always a crap shoot when you are arranging for flowers to be delivered in another country, so we're very thankful that everything worked out well. Usually excellent but I have not heard from my niece! Flowers From Ltd delivered the flowers within a few hours of me placing the order. Great service, and Mum loved them. That's what it's all about. Excellent service. Pleased with purchase. Flowers that were delivered were excellent. I was dubious sending from Australia.. My sick relative received the flowers the day after order which were beautiful and the family sent a photo. Many thanks Sheila Sth Australia. My mother in law was extremely pleased with the flowers and said the driver was very nice. Professional service and beautiful flowers. The flowers were beautiful and received on the right day. Bereaved family said flowers were beautiful. Excellent quality of flowers my sister loved them. Buds arrived closed they will last ages. Beautiful flowers and excellent service. Highly recommended. The flowers were sent for our friend's funeral and a note from her daughter said the arrangement was 'beautiful' - thank you! Good service and delivery and really affordable. 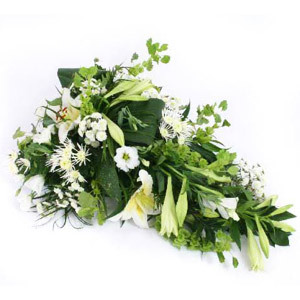 I spoke to the florist as athough I was happy with the website, I needed peace of mind that my flowers would be at the funeral directors the evening before the funeral. The lady I spoke to was incredibly helpful.